Marketing Automation can be amazing, but it won't solve your biggest sales and marketing challenges. 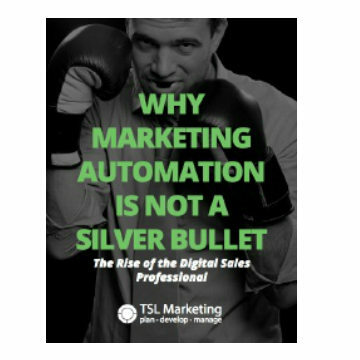 A marketing automation technology is only as strong as the pre-existing sales and marketing framework that you lay it down upon. Build up that framework and support it with the power of sales professionas who are as plugged into your prospects as they are with your marketitechnology. Discover industry best-practices by getting your copy of the eBook.